This degree is all about deepening your understanding of how people learn. You’ll explore the cultural and historical aspects of the education system in the UK and beyond, and undertake placements in a wide variety of London settings. These could include mainstream primary schools, schools for children with special educational needs, hospitals, prisons, Pupil Referral Units and theatres. This course is designed for people already working in an educational setting and who want to gain a relevant degree while in employment. Why Education Studies at LSBU? Our expert staff are committed to a practice-based approach, and we collaborate with psychologists to create exciting course modules. We’re London’s number one university for ‘Learning Opportunities’ and in the top two for ‘Learning Community’ (National Student Survey 2018). The Centre for Education and School Partnerships, which delivers this degree, has extensive links with schools, alternative educational settings and the creative industries. We’re home to specialist facilities that contain all the equipment you can expect to find in a primary school setting. You’ll have the chance to be involved in three work placements as part of your studies, gaining valuable experience and experiencing exciting new educational settings. No.1 in London for career prospects in Education (Guardian 2019). It wasn't just the flexibility or the opportunities available, but she loved absolutely everything about London South Bank University. Peter found a great network of support from his peers whilst studying the BA (Hons) Education Studies (work-based) degree at LSBU, along with experiencing an alternative education placement at the National Theatre. Study skills This module introduces students to Higher Education Study Skills. Students will explore core skills including organisation and time management, core computing and maths skills, developing academic English and critical reading. There will be specific information on assignment planning and assignment writing. The module will be personalised with students working from their own current level of understanding. Developing study skills not only helps students to improve their learning and performance, it can also enrich their experience of Higher Education and university life. What is education? This module introduces you to key concepts and issues in the history, sociology and philosophy of education. By examining historical and current issues that are of major concern within the world of education, the module seeks to provide you with the theoretical ideas that will underpin future studies at Levels 5 and 6. Themes such as equality, human rights and citizenship are addressed within the module both as current political issues and as ideas that illustrate the competing ideologies within education. The relationship between psychology and education This module introduces students to the discipline of psychology by focusing on a number of core areas. The module begins with a brief introduction to the historical development of psychology and related theoretical and methodological approaches. The module then introduces biological psychology by looking at the relationship between brain and behaviour, before considering how we learn through observation. Finally, the issue of emotions will be explored. Throughout the module there will be an emphasis on practical applications of psychology and how it impacts on education. Constructing childhood This module explores the ways in which childhood is constructed by societies and communities. It focuses on how these constructions of childhood are conveyed through literature, films and advertising, looking at ‘texts’ about childhood and those designed for children. The module considers how constructions of childhood have changed over time and how these different constructions have been shaped by political, social and economic factors. The theoretical underpinning for this module is from the fields of literary theory and cultural studies. It seeks to provide students with the theoretical ideas that will support future studies at Level 5 and Level 6. Language, literacy and learning This module will allow you to develop your understanding of the English curriculum and recent developments in the research and methodology of teaching reading, writing and speaking and listening. There will be a focus on the writing process and you will write and illustrate your own children’s book for an intended audience. Links between theory and practice will be made explicit and you will be encouraged to reflect on your own experiences as language users and producers. Community, family and children Building on themes introduced in the 'Constructing childhood' module, the focus will be on considerations of social capital, youth culture and transitions. This modules explores concepts of community, family and childhood. It discusses how these notions change over time and can vary from culture to culture. The module explores students’ own position with regard to these concepts as this will impact on their work with children in educational settings. It discusses the impact of media views, dominant discourses and educational and social policy in relation to ideas of community, family and children. The module discusses notions of equality and how society seeks to meet the needs of diverse communities. It explores how communities enable children to become adults and how society works with disaffected young people. Developing mathematical thinking A theorised, developmental problem-solving approach to understanding mathematical thinking and how learning in mathematics is supported. This module introduces students to key concepts and issues in the development of mathematical thinking. By examining attitudes towards mathematics and the processes within problem solving, the module seeks to provide students with both theoretical and mathematical ideas that will underpin future studies. Themes such as number, pattern, questioning and assessment are all addressed within the module. Equality, culture and citizenship An exploration of the individual as a citizen within the context of social justice. This module builds on concepts introduced at L4. It provides a more critical and analytic exploration of the notion of equality, including critiquing notions of justice and social justice. The module develops the notion of community through analysing models of citizenship and the role of the individual in communities and wider social arenas. It explores what it means to hold rights, children’s rights and the link between being a rights holder and a responsible citizen. The module explores the notion of the individual, individual freedom and identity and the impact of culture on identity and life in a wider social arena. Introduction to social and developmental cognition This module provides students with a basic framework for understanding how cognitive functions and social processes emerge and develop, and examines the ways in which these two areas interact, with a particular focus on learning and the classroom. Students will be presented with a number of contemporary issues and examples that are important for the study of developmental and social cognition, including the development of thinking and representation, early social behaviours, and how these may differ in atypical development. Students will be encouraged to reflect on their own classroom practices in order to gain a deeper understanding of topics. Interpersonal interactions An exploration of peer and family relationships, friendship, social capital and bullying. You will develop your theoretical understanding of a range of interpersonal interactions between learners, professionals, family and peers and reflect on their importance in educational contexts. Using theory to inform practice, you will develop your approaches to enhancing relationships between pupils and others in an educational setting with the aim of promoting learning, well- being and inclusive practice for all. Alternative education setting placement During this module, students will spend six days on placement in an alternative educational setting of their choice. This experience will provide students with the opportunity to work with children, families and communities in an educational context other than a mainstream setting and their own place of work. This will enable students to develop their knowledge and understanding about education in a wider sense, there will be a specific focus on inclusive practice. Students will complete directed tasks whilst on placement to contribute to an AES learning journal (please read an extract from Georgie's AES placement below) in which they will reflect on their own and others’ learning. Barriers to learning Building on a range of previous modules the focus will be on identifying and reducing barriers for individual learners. This module aims to provide students with the opportunity to understand the notion of ‘barriers to learning’, and consider their potential implications in educational contexts, with a view to developing effective informed practice which aims to promote learning and well-being for all pupils. The learning environment This module is designed to enable students to explore some key educational issues. Specifically, sessions will aim to equip students with a challenging, critical framework with which they might consider issues of effective learning environments and the role of display within such environments. The majority of reflection and investigation will take place within the student’s work place setting, through the creation of an interactive display and discussions with a range of stakeholders. In the third year you'll have the opportunity to design a work-based study which will develop your ability to reflect on how theory is applied to practice in your own teaching in a new educational context which is different from your everyday workplace. For this module you will need to draw together skills, understanding and knowledge to identify a practicable project focus, and to carry out and report on the small-scale research project you will complete. You will need to obtain ethical approval for your project, read widely around your area of interest, and develop skills in structuring your project report so that your ideas and findings are clear. You will get guidance and support through a carefully structured programme of lectures and seminars. You will also receive 1:1 supervision, supporting you to identify an area of interest and a specific research focus within this. The practical research experience you will have can lead into a range of postgraduate studies. The module also helps you to develop a range of transferable academic skills including self-evaluation and critical thinking skills. Creativity in education Reflections on curriculum will help you to understand how you and children develop creative approaches to learning. This module is designed to enable students to explore some key issues around Creativity in Education. Specifically, sessions will aim to equip students with a framework with which they might consider issues of curriculum provision. Areas such as thematic approaches to teaching and learning, cross-curricular planning, creativity in the curriculum, educational visits to museums and galleries are all addressed within the module. The teaching and learning style of the module is practical and participatory. The module also provides students with the opportunity to develop digital skills to organise and present information. Deconstructing the education system enables learners to gain greater understanding of the complexities of how the education system works and how the parts of a system are related to one another and to society. This module builds on the year one module ‘What is education?’ by exploring policy, practice and curriculum across the globe. Through learning about education systems in other countries and making a comparison with their own, learners will be able to analyse educational issues systematically. This will give learners opportunities to accommodate new knowledge and principles which can then be applied across education systems. You’re guaranteed an interview for teacher training after you graduate from this degree, and have excellent employment opportunities if you want to start your career in an educational or related setting. You’ll also be very well prepared to take a PGCE or employment-based route into teaching, or to carry your studies on to Masters level. We have extensive links with schools, alternative educational settings and the creative industries, as well as organisations such asThe British Dyslexia Association, Achievement for All, and researchers in the field. As well as having the opportunity to apply theory to practice in an educational setting throughout the course, you'll also experience an alternative educational setting placement during the second year of the course. "As part of the BA Education studies work-based course, students are required to complete a placement in an alternative education setting of their choosing. 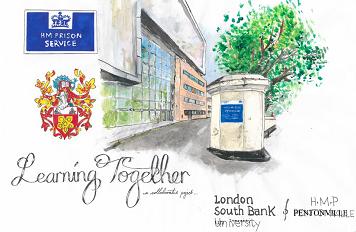 I was fortunate enough to have been given the opportunity to take part in the pilot of the LSBU and HMP Pentonville Learning Together partnership which was in fact, the highlight of my degree. The Learning Together course focused on ‘Education for Social Justice’ which asked university students and prison learners to study together in the prison environment to explore what education should look like in the 21st Century and how it can be used as a tool for social change. Despite the challenges, and initial preconceptions, I was able to evaluate what it means to learn and facilitate learning in the harsh reality of category A prison. Along the journey, the partnership proved to be inspiring and thought provoking and I was truly sad for it to end. 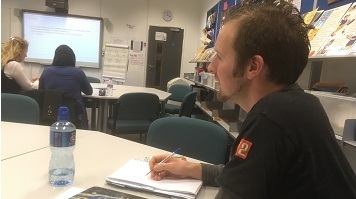 Having only worked with primary aged pupils previously, it was interesting to act as a facilitator with adult learners leading and supporting discussions and group work. As a student, I found it interesting to learn about education for social justice, a topic relevant to my current employment as a Teaching Assistant in a Primary School and to my degree course. I was taught the importance of resilience, flexibility and sensitivity in an alternative education setting and reminded of the need for facilitators to be prepared for any disruptions. Each week I felt inspired by my HMP Pentonville classmates for continuing with education, despite the difficult experiences they may have had and the harsh reality they are living in. The connections made by students 'transcended the physical boundaries that they were imposed with' (Fogarty, 2017)." Anna’s teaching interests include the pedagogy and practicalities of teaching English to Primary aged children. 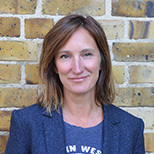 Fabienne Benoist is the course director for the BA (Hons) Education Top Up programme and a Senior Lecturer in the Centre for Education and School Partnerships. 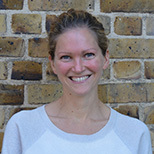 Zoë Leadley-Meade is a Senior Lecturer and the Course Director for BA (Hons) Education Studies. 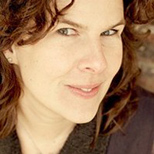 Zoë’s research interests are focussed on creative pedagogy as a tool for empowering students. Nicola has a PhD focussing on inclusive practice with autistic university students. 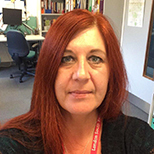 She has 35 years’ experience in education working with disabled pupils and students from nursery age to adults in FE and HE and an international research profile in the field. 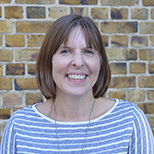 Katherine Pechey is a Senior Lecturer in the Education Division, teaching on the PGCE and BA (Hons) Education programmes. Andrew is Interim Head of Division for Education and Head of Undergraduate Education Programmes in the School of Law and Social Sciences. 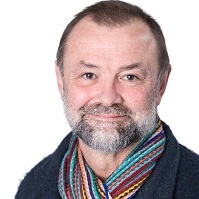 His research interests revolve around exploring models of ‘good practice’ in teaching and learning. 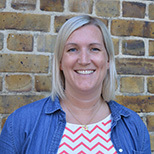 Martha is a qualified teacher in sociology, with an established research profile in the area of beliefs and values in education. 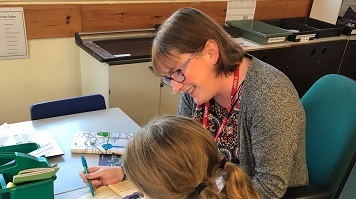 Helen Thomas is a senior lecturer in the Education Department leading and teaching on Primary Mathematics postgraduate and undergraduate modules as part of Initial Teacher Education and BA (Hons) Education Studies courses. 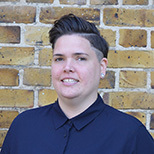 Dr Helen Young joined London South Bank University (LSBU) in August 2016 from UCL Institute of Education. 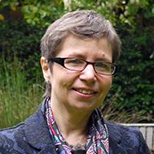 She is a Senior Lecturer in Education and teaches on the BA Education Studies and the EdD. She also has responsibility for partnerships with alternative educational settings and is Acting Course Director for the EdD. You’re never on your own on this degree. Even when you are out on placement, you’ll be visited by a tutor. Further resources will be available through our visual learning environment and monitored chat rooms, with tutor input, to enable you to communicate with your fellow students and learn from each other’s experiences. Study Skills will be embedded throughout the modules as well as a specific Study Skills module. You'll receive support in accessing assistive technology and LSBU’s study, library and disability services. You’ll also be allocated an individual academic advisor to help your development. In your first year, you'll meet with your personal tutor for 1 hour, twice a year. In your second year you will have appointments with your personal tutor three times a year, for up to 30 minutes. In your final year your dissertation supervisor will arrange to meet with you as required. You can contact your tutor/supervisor for additional support by email or phone. Students working in informal and formal educational settings will be considered on the basis of their overall qualifications and work experience. If you are a mature student and your qualifications fall short of those above, your application may still be considered if you can provide evidence of working in an educational setting. An interview and a written task will be used to assess your suitability. 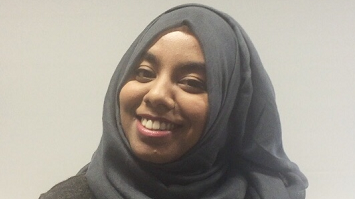 Find out how our course has confirmed teaching as the perfect career for one LSBU student. LSBU education research is helping children with language difficulties to access new ways to learn and develop. 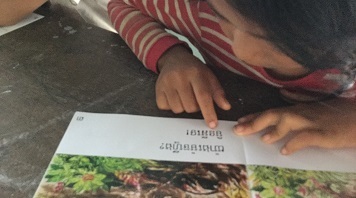 Dr Jane Courtney from London South Bank University (LSBU) has been working with International NGO World Education on a Food For Education (FFE) project to improve food security, access to primary education and learning outcomes in Cambodia. 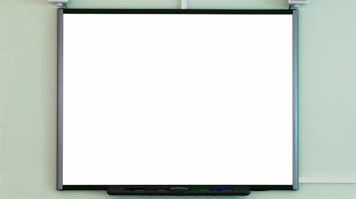 LSBU has led an initiative to develop good practice guidelines for the use of Interactive Whiteboards (IWBs) while giving PGCE students hands-on experience at the same time. Bartlett, S. & Burton, D. (2012) 3rd Ed. Introduction to Education Studies: Education Studies: Key Issues Series. London: Sage Publishing Ltd.
Stella Cottrell (2013) The study skills handbook. Paglrave. Murphy, L., Mufti, E. & Kassem, D. (2009) Education Studies: An Introduction. Maidenhead: Open University Press.